Welcome! This is a revision of a project I made when I was a 16-year-old high school student. Now I'm 20, and amongst my activities of going crazy, I've managed to find time to update this web site. 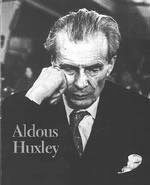 Huxley Fans will enjoy my rarities section. I've searched the net for interesting Huxley finds. High school and college students who are LAZY will enjoy the cheat sheet section.